You've reached the stage--or state--in life where you can no longer compile lists of which you are able to limit the number of entries. This stage--or state--applies to lists of things you favor and, thus, admire as well as to things of which you disapprove and, thus, hold in a negative state of regard. Most of your lists include ten items because of the length of your classes when you began teaching in 1974. Only in rare occasions were you able to touch all ten of the points you'd outlined for coverage in a particular class, but ten seemed like a convenient number of things to have on a list of positive things. You're relying now on memories over forty years old, but it is your present belief that you were hard pressed to find ten or more things within a frame of reference that you disliked or had negative regard for. Only yesterday, even as you wrote of your literary equivalents of comfort food, Mark Twain's essay/review, "Fenimore Cooper's Literary Offenses," and George Orwell's exquisite, "Dickens," you were thinking of others of consequence to you. One of these is something that came to you by the same kind of happy accident with which so many pleasing and rewarding things snuggle into your life. 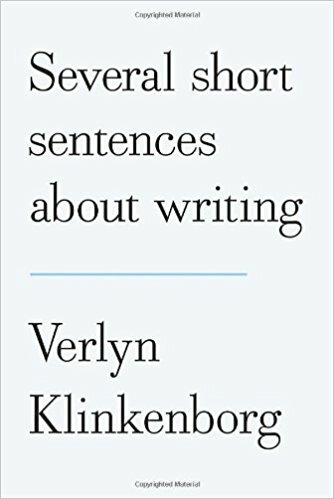 Somewhere back in the early 1990s, you were sent a book to review,The Last Fine Time, by Verlyn Klinkenborg. 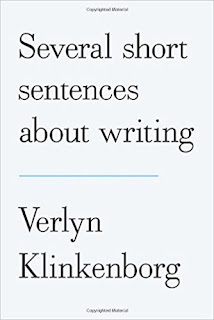 By the nature and quality of this book or, indeed, anything Klinkenborg writes, attempting to describe it in apercu is impossible and in the bargain a foolish venture. You did not know this at the time, wondering instead how it was that the book review editor could think to send you, of all possible reviewers, a saga of a neighborhood bar in Buffalo, New York. You began to realize you were a fan of the author after you'd read only a page or two. Later, when you discovered Klinkenborg wrote a weekly column for The New York Times, you made a ritual of retrieving the times from wherever the deliverer had tossed it, brought it into the house, turned to the editorial page, then, while sipping morning coffee, reading the latest Klinkenborg column aloud to your wife, who, not given to the kinds of explicative you employ, would say such things as, "I've got to take that to my class. When I read that to them, they'll swear off their own awful writing and take up something nonverbal." You happened on what you believe to be the latest Klinkenborg effort by the merest--and happiest--chance. Again you were caught off guard, again caught in a transformational swarm of connection with the written word. By way of a brief-but-relevant distraction, you've been a fan and practitioner of the long sentence. This is in part due to your gradual appreciation of Faulkner. This is also because you took pride in being able to capture a paragraph in a sentence, without losing the reader. You were showing off, for yourself and the reader. which provides its reader with a thoughtful set of guidelines to composition that moves you as all too few novels move you, causes you to approach your own composition with a different set of conditions and, most important of all, a different expectation for the outcome. Since your discovery of this book, you keep it close at hand, one copy near your reading chair, the other in your car against times when you may be between chores with reading time available. The other entry to your list is a collection of essays that has, in its way, dealt with your narrative voice and attitude. Each time you consult this particular book, you find yourself thinking of Alice as she discovers, then becomes engaged by the rabbit hole. This book is Joan Didion's The White Album, which is so sure of its own voice that you, in the act of rereading it, are reminded to listen with care and focus each time you set pen to paper or fingers to keyboard. Dread, fragmentation, and uncertainty, all powerful emotions, jostle and bump at Didion as she writes,causing her the kinds of focus you reckon a writer needs in order to survive in the perilous landscape of the twentieth century. You like to pair The White Album with another book about an American landscape you'd like to pay tribute to and continue to steep yourself in. But more about that book, perhaps tomorrow.